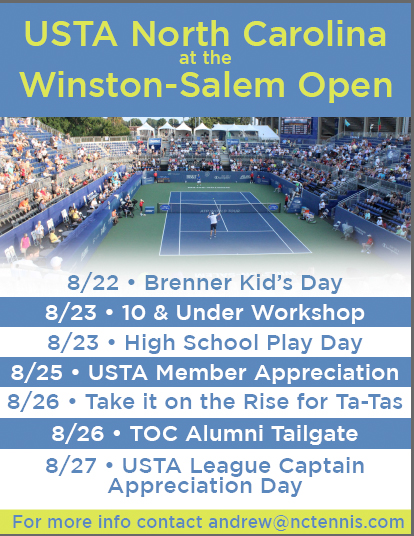 Visit the Winston-Salem Open website for additional information. Brenner Children’s Hospital will be kicking off the Winston-Salem Open with its 5th Annual Brenner Children's Kids Day. On Saturday, August 22, the kids will hit the court for lots of excitement at the Wake Forest Tennis Complex. The day begins at 9:30 am offering age-appropriate activities for children ages 6-8 years old until 11:00 am. Ages 9-12 will follow from 11:30 am to 1:00 pm. Chick-Fil-A of Thruway Shopping Center and Peace Haven Road will be serving lunch for all participants at the conclusion of the day. USTA North Carolina will be organizing the day’s activities, which will center around the fundamentals, skills and fun of tennis for all ability levels. Brenner Children's Kids Day is offered FREE to the public. Winston-Salem Open's Mascot, "Bo," will be making an appearance along with other mascots. *Click here to register. The interactive 10 & Under Workshop, which will be taught by a USTA national trainer, will be held on Sunday, August 23, at the Wake Forest Tennis Complex from 1:00 to 4:30 pm. The workshop highlights skills, development, progression and child-centered activities. Cost for all participants is $15. As part of the $15, all participants will receive tickets good for Sunday, August 23, to the Winston-Salem Open. 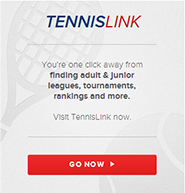 Please visit www.coachyouthtennis.com to register. For players ages 14-18, come out and play a singles and doubles round robin tournament from 4:30 to 6:00 pm! Players must be able to serve, sustain a rally and keep score. All participants will receive a ticket to Session Two of the Winston-Salem Open. To register or for more information, please email Andrew@nctennis.com. On Tuesday, August 25, NC Tennis is taking a day to appreciate all of its USTA Members with discounted tickets and a cocktail party including heavy hors d’oeuvres and cash bar, which will be available from 5:00 to 6:30 p.m. To all USTA members, be on the lookout in your email for more information and discount code. Calling all Tennis on Campus Players and Alumni. We have a fun night planned for you, starting with a Food Truck Festival from 5:00 to 7:00 pm. Admission into the festival and Winston-Salem Open Grounds are free. Please RSVP your attendance to Caroline@nctennis.com. Stop by our food truck festival table to get your free tickets! Calling all captains! Stop by the USTA North Carolina booth for a special gift and thank you for all you do.